For all filmmakers, videographers, and video enthusiasts, it’s the perfect time to reach more people with your artistic vision, discipline, and love for the craft. The viewing habits of your audiences are changing, along with greater demands for accessibility and compelling storytelling. Videos are moving beyond theaters and TVs and are being consumed in all kinds of environments and on different devices. Captions are now becoming a requirement and indicator of good, quality production. It’s unsurprising that video streaming sites like Netflix, Hulu, Ustream, and others are gaining popularity as one of the fastest growing industries. That includes the recently announced and highly-anticipated Disney Plus. 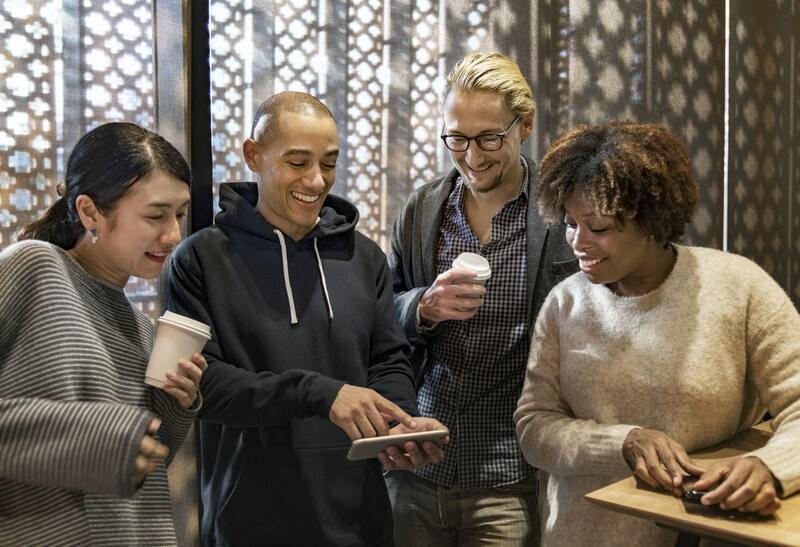 Many pop culture references even describe this generation’s competitive workforce as made up of any of these three words: Coffee, Netflix, (and also, tears). As you make it easier for viewers to enjoy and consume your films, they may not realize that before a movie is created, it has to go under 3 basic process – pre-production, production, post-production. They only see the final product, which is the movie. If we review your process, pre-production involves all the planning from the script, auditions, scouting of locations, and others. Production is when the actual shooting happens. While the most important and longest process is post-production. 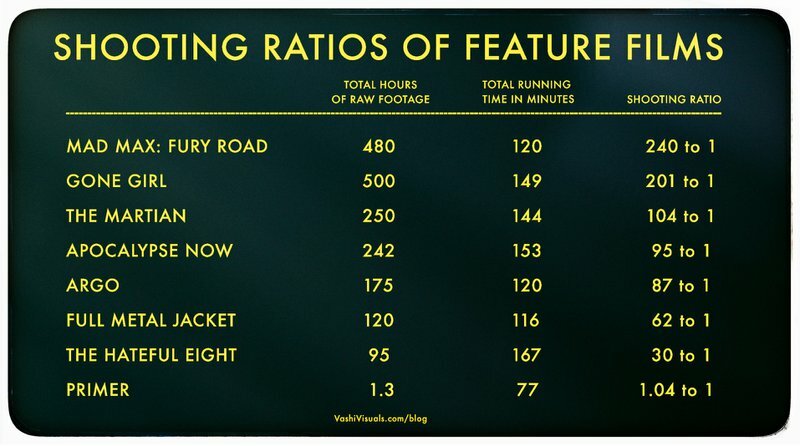 Depending on the scale and budget, your film or movie production time can vary from days to years! 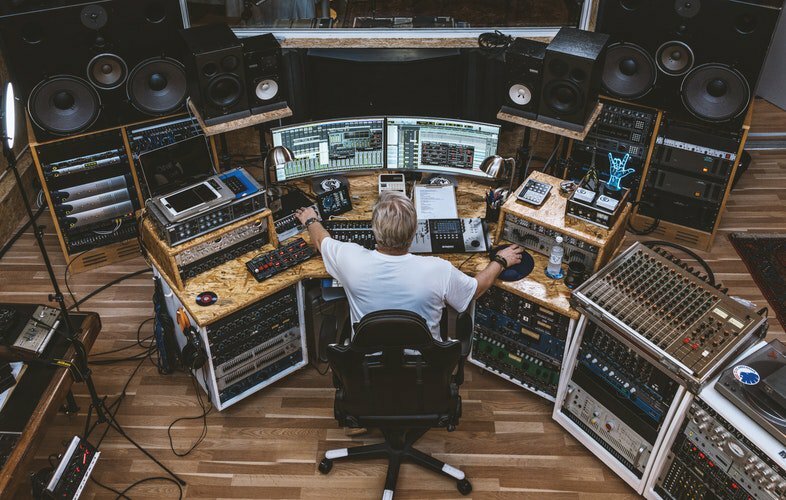 Regardless of how small or big a production company is, you can make the life of your post-production team, especially your videographers, easier with the use of post-production transcripts. These essential transcripts speed up video editing and captioning. Find out how you can maximize the use of transcripts for video production and distribution, as well as useful resources for choosing the right transcription and captioning provider. What is a post-production transcript? 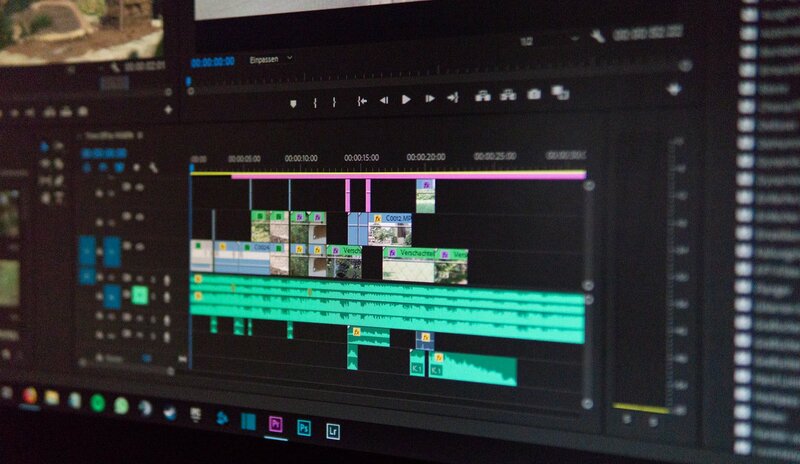 Post-production transcription is a word-for-word, shot-by-shot, minute-by-minute account of a film, video or documentary – and it’s 100% accurate. Transcription is usually outsourced. Some big scale production companies delegate this task to in-house teams, but due to lack of experience, the quality of work is often affected. One reason many video producers use transcripts is so that referencing lines or sections from the script becomes easier through written timecodes and timestamps. Note: To save time and money, you may schedule transcription work after production. Why? Imagine you’re in the middle of production. Big, impromptu script changes were made, and a chunk of dialogue gets deleted. Your original script practically becomes irrelevant in post-production, and a post-production transcript, a lifesaver. What are the benefits of a video transcript? In this case, the video editor had to condense unedited material into a 120-minute feature film. Working on a film without a transcript to guide your video editing ups the difficulty level past ‘Normal’ and ‘Hard’, to ‘Harder than Hard’. #1: Translate your film to a different language with ease. Did you know that English is only the 3rd top language in the world? There is a high likelihood that your work will undergo translation for distribution and accessibility to a wider, international audience. In other parts of the world, they may speak Mandarin Chinese, Spanish, Hindi, and Arabic as their first language. A transcript helps your translator quickly and efficiently finalize the translation. #2: Use timecodes and timestamps to save time. A timecode (alternatively, time code) is a sequence of numeric codes generated at regular intervals by a timing synchronization system. Timecode is used in video production, show control and other application which require temporal coordination or logging of recording or actions. Timecodes are used as reference points for video editing. Your editors can work more efficiently with the use of transcriptions, especially if it has timestamps synchronized with the timecodes in the original video. Through transcription, it saves your editor time from switching between viewing and editing footage. #3: Skip ahead for revisions. You don’t have to watch and rewatch scenes to find parts for revision. Save valuable time and effort looking for the sections that need editing. A transcript on hand allows you to browse through timecodes and dialogue to see exactly when and where you need to skip ahead to perform the needed edits. It’s also easier to make creative decisions seeing the entire work in text. #4: Use video transcripts to add captions. Nowadays, captions and subtitles are a must. They’re pretty much a prerequisite for video streaming sites and determine your video’s success when sharing on most platforms. You can request closed captioning services from an established transcription company. With a good transcript in a compatible file format, you can add captions in as little as one step by directly uploading them to your platform. Just see how simple it is to caption videos for any social platform. Now that you’ve learned the benefits of transcription for your post-production team, you can consider the following options for transcription. If your crew has spare time and is confident in their transcription skills, you might consider doing this in-house. However, this method can be tedious and time-consuming. Most likely, expect DIY transcription to take a long time and the context switching can be quite taxing. You’d rather focus on your core duties. Depending on the size and expertise of your crew (and if your video transcription needs are low-volume), this is a good option. Seek to get help if your hours of footage make DIY efforts cumbersome. Compared to DIY transcripts, using a video/audio software can aid in your transcriptions. Plus, it’s more cost-efficient than ordering text from a professional service. However, there is a downside. Speech-to-text (STT) software accuracy can be unreliable, and often the output won’t make sense. In the end, you’ll most likely still have to manually correct and edit many errors. As in the previously mentioned options, you can create your own online video transcript or use STT software to save money. However, take note that transcription takes time, while software accuracy is unreliable. There is a fast, low-cost, and easy way to order accurate transcripts online for every video you produce. The process for ordering transcripts from video transcription services is quite seamless, too. With a few clicks on transcription sites, like Scribie, and a few hours after, you get your transcript. Professional transcriptionists and QA teams with in-depth experience offer you accurate and reliable transcriptioning and closed captioning services. Video transcription can provide unbelievable convenience and value for saving your time and money when producing videos. If you’re swamped and lack the time or people to transcribe for you, a smart choice is delegating this task to a professional or transcription service. Here are some key considerations for selecting the right service for your filmmaking needs. Ordering a transcript online is a helpful hack for accurate documentation of your footage. You can use transcripts as a reference during editing and for quickly adding captions to your videos. Looking for a video transcript now? Contact us and let us do the transcription for you. You invest in quality video content and believe that you have every key ingredient for the perfect video covered. You may be right. Except that you could be forgetting about a very important audience: mobile viewers. As a mobile-savvy creator, you may have already optimized your content for this audience, but it’s also smart to check in with changing mobile viewing behavior. Remember the last time you saw your analytics page for the total no. of views? Studies reveal that 51% of all videos are being played on mobile. For Twitter, that goes up to 93 percent! Imagine, over half of those views would be coming from a mobile device. How do you set apart your vlog, trailer, promo video, or product reviews from other online marketers, 87% of them, who also invest in video content the same way? If you’re sharing your videos on social accounts such as Facebook, Instagram, YouTube, and Twitter, you’ll need to know how you can capture a mobile audience. Let’s begin with a recap to cover some general rules for creating and sharing social videos with your mobile viewership in mind. First, be conscious of the platform. Before creating your content, consider what type of content engages a platform’s particular audience. Facebook tends to have a more diverse audience, for example. Then, you should optimize your video for your channels’ recommended specs. You can use a 1 : 1 aspect ratio to save time. Square videos generally work well with most platforms and tend to appear larger, taking up 78% more social media feed real estate. Also, most platforms like it when you upload directly to their channel, and you’ll be rewarded for posting natively. Your video appears more prominent and you enjoy up to 10x more organic shares. There are a number of compelling reasons why someone would watch with the sound off. They may be in an environment, like in an office or a noisy public space, where it’s not possible to have the sound on. Perhaps, the deluge of noise coming from one video after another in the feed drives them to turn the sound off. 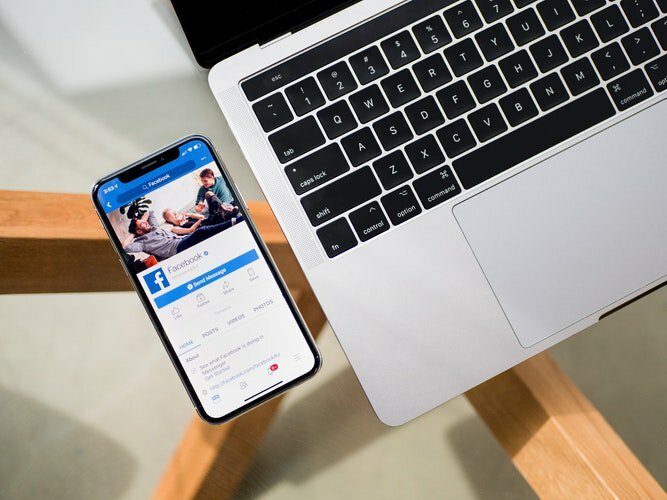 Facebook only counts a view after three seconds, so you’ll need to grab mobile users’ attention during the first few seconds. This means, even if it’s without sound. Although “silent watching” may have become the de facto standard, that doesn’t mean that you won’t be able to get your point across anymore. According to MEC North America, around 85-90% of their clients’ video views are silent. Yet, that doesn’t equate to less engagement. Internal studies by the agency revealed that KPIs, including brand lift and intent to purchase, remained unaffected by on or off sound. For inspiration, check out some of these social pages and how they approach video creation and publishing. Many of these examples are from this article by Digiday UK. Feel-good site LittleThings averages 150 million monthly views on Facebook and 85% watch without turning on the sound. LittleThings uses fun graphics that help capture mobile viewers’ attention, and they add subtitles to become more accessible. Since some of their videos are unscripted they transcribe them after it has been produced. Another successful case study is the millennial news site Mic. They average 150 million monthly views, with 85% of its 30-second views are also without sound. PopSugar shares that their silent video views are between 50 to 80%. Check out how their video below can be understood without dialogue or audio. Keeping up with the everyday messes with Swiffer can make the big cleaning days a lot easier — trust us! NowThis is another page with posts that have gone viral. The news source also utilizes captions to relay news and become accessible to a wider audience. As a great majority of views are happening in silence, your videos on social need subtitling more than ever. You’ll observe that videos on news feeds showcase subtitles that narrate on-screen dialogue. Although most still retain the background music or audio, subtitles help make your content easier to consume and understand from wherever your viewers may be watching, at home or on-the-go. How do the subtitled videos compare to video content without them? Here’s why captions are critical. When it comes to watch time, subtitled videos increase view time by more than 12% and are watched an average 91% to completion. In comparison, videos without subtitles are only watched 66% to completion. When subtitles are included, 80% more people watch videos to completion. A deterrent for many video producers and content creators when it comes to adding captions can be the cost for closed captioning services. However subtitle service providers, like Scribe, charge for as low as $.10/min. You may be worried about finding a good captioning service to become your production partner for a one-time transcription or long-term partnership. See the important things to look for in How to Select the Best Video Captioning Service: 5 Key Considerations. Another issue for you may be uploading the captions to videos on your platform. You actually don’t have to manually add and edit the captions for each video on every platform. There’s an easy way to directly upload your caption to social, including Instagram, Facebook, YouTube, and others. Upload the file directly to your platform or video editor. Done! Your video now has captions. You’ll find more detailed instruction for adding captions to social videos here: How to Caption Videos for Instagram, Facebook and Other Social Platforms. 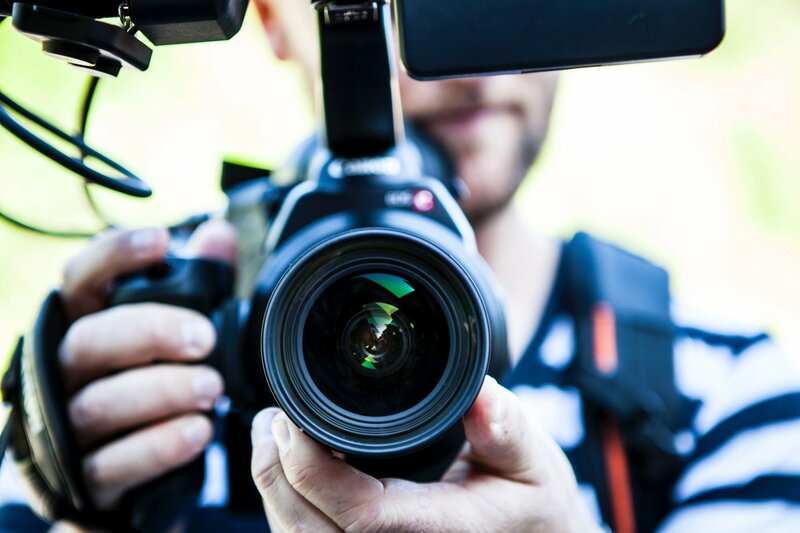 You’re aware of the importance of a great social media video strategy. But, are you doing what it takes to see positive results considering mobile viewing behavior? It might help to re-evaluate content strategy every now and then to see what you can improve. Reach more mobile viewers by adding subtitles to your social videos. Get subtitles from Scribie today! If you’re a video producer, you know how captions can improve your reach and accessibility. Finding a good closed captioning service to become your production partner, whether in the long run or for a one-time order, needs careful consideration. You may have some top picks in mind. Before you decide, though, see if they’re the right choice for you and your audience. Wondering about the most important things to look for in closed captioning services? Here are the 5 major things to consider, such as pricing, delivery time, quality, and more. Make sure that you’ve covered everything on the list. One of the first things you’ll consider is captioning cost. Rates by closed captioning services are typically calculated by audio minute, and different providers charge different rates depending on the packages and add-ons. 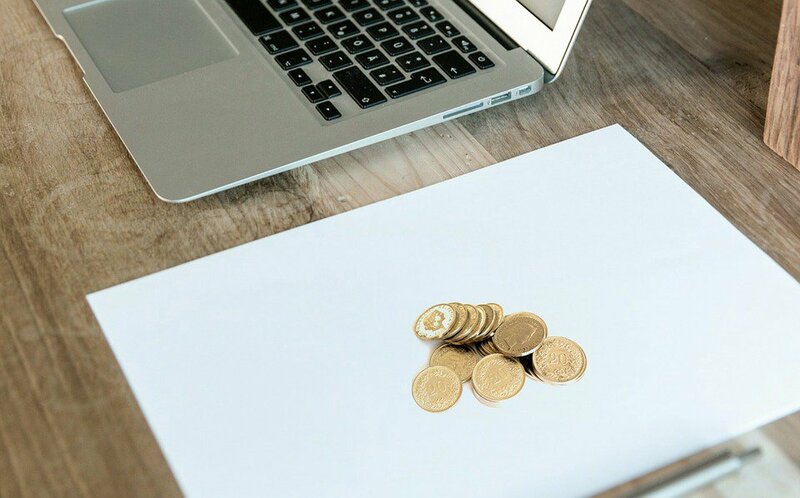 Captioning services will usually offer low base rates, but be careful of hidden costs, like service add-ons which usually incur additional charges on top of the regular rate. These can add up to a hefty dent in your wallet. 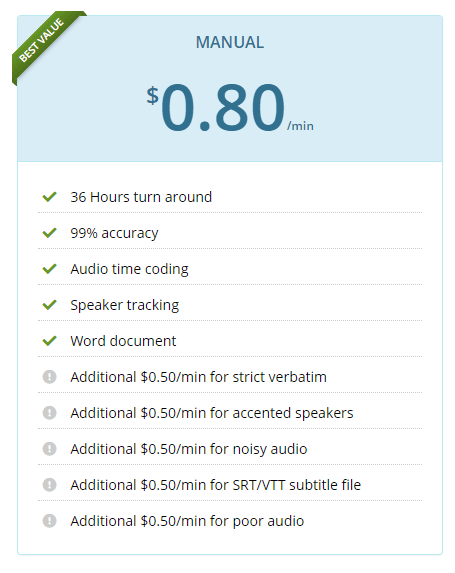 For example, TranscribeMe’s advertised rate begins at $.79/minute. However, if you need a transcription of technical content with speaker tracking, your rate goes up to $1.50/minute. Some companies charge more depending on your industry, the no. of speakers tracked, and speed of delivery. Our pricing is transparent and simple. We charge $0.80/minute, the lowest base rate in the industry that is most inclusive of features. When you order captions from Scribie, you receive more for less. This is the rate you pay no matter the file format, how many speakers need tracking, or whether your industry includes highly technical terms. Take note: Turn-around time is typically faster than 36 hours (depending on file length). Expect your order within 12 hours. Short files are often delivered within the hour. Scribie’s completed transcript and captions are provided in multiple file formats for your uploading needs, such as VTT, SRT, PDF, MS Word, and more. You’ll find the right, compatible file format to upload or add your captions to videos on any platform. You can also use our easy captions editor to perform any edits beforehand. Get your video captions as soon as within the hour. Order from Scribie today. Choosing a closed captioning service that allows integration to your platform saves you plenty of time and effort. Integrations let you automate your captioning workflow. An integration helps simplify the importing and uploading process. Scribie lets you import your videos for captioning through a variety of ways, whichever is most convenient for you. 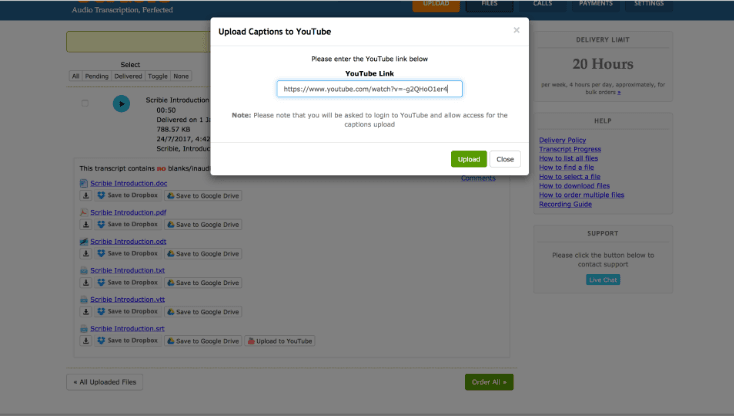 If adding captions to YouTube, our Youtube integration lets you directly upload your captions from our site. Simply enter your YouTube link or upload a video file, order captions from Scribie, and save to YouTube once your captions are ready. You can also easily import your video from Vimeo, Dropbox, Box, OneDrive, Google Drive, or other publicly accessible links. What level of accuracy can you expect from the closed captioning service? Automatic captions by software, as you may have experienced, can turn out wildly inaccurate. Manual captioning services by people are your best bet for highly accurate transcriptions. Many closed captioning services provide automatic closed captions (ACC) by software or don’t have a quality assurance process in place. Our team of specialists offer captions with an accuracy of 99% or higher. We also have an in-house team of quality assurance experts and proofreaders. Through Scribie’s signature four-step process, you’re assured quality and privacy. Here’s how it works: Different transcribers work on different sections of your video, and Scribie proofreaders vet your captions’ quality multiple times. Our in-house QA experts analyze your file for accuracy, and then the accuracy of names, acronyms, and other potential errors are verified and fixed at every step. How fast will you receive your captions? Some closed captioning services charge extra for quick delivery and others can take as long as a week. If you need your captions within the day, you may have to shell out an extra handful of dollars per minute of audio. Make sure that the provider you choose will be able to deliver your files within your required time. Scribie delivers your file in as fast as an hour, and we don’t charge for rush delivery. Depending on file length, you can expect your order within 12 hours. If you’re looking for a captioning partner for your videos, you’ll want a provider that’s communicative and available to address any of your concerns. Many providers offer impersonal services. Will they be prompt in answering questions? Can they fulfill any custom requests? If you need a custom format or have any specific requests, they should be able to handle the fulfillment of your needed specifications. We’re flexible enough and care about your needs to personally accommodate requests. Our customer service is available the entire week to provide customer service, with live chat on weekdays and email support during weekends. Everyone has different needs when it comes to closed captioning services, and there are plenty of options to choose from. It helps to list down your needs and expectations beforehand and determine whether you chose the best closed captioning service for you. Watch out for any hidden fees and charges that are bloated with unessential features. If you’re a video producer, podcaster, YouTuber, or social media influencer, we’ve designed Scribie to be the ideal choice for most of your captioning needs. Our simplified and transparent rates are among the lowest and most inclusive of essential features. Ready to try Scribie? See why Scribie is the ideal closed captioning partner. Order your video captions now. Whether you’re a social media influencer or marketer, your aim is to see your channels grow and videos go viral. You’re probably noticing how recently, plenty of Facebook, Instagram, and YouTube videos include captions. With more people viewing videos on their mobile devices, most of them prefer to watch social media without sound. In fact, studies show that 85 percent of social videos are watched with the sound off. There are also around 466 million people around the world who are deaf or hard-of-hearing. Adding captions to your videos on social platforms is one way to connect more meaningfully with your audience. Besides accessibility, your captioned videos rank higher your on search engines and can be repurposed to promote and boost your channel. 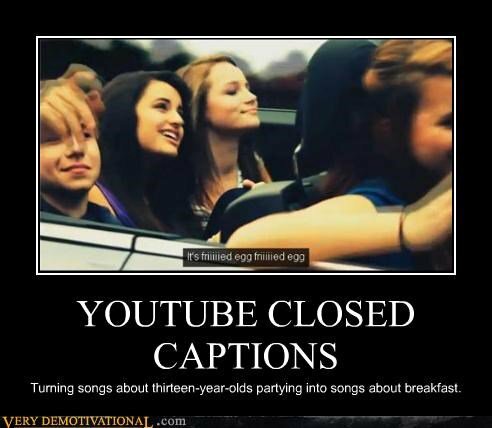 Captions are perfect for news, vlogs, memes, tutorials, music videos, brand commercials, and almost any other kind of social video. For those with little time to manually transcribe videos, you may be surprised at how low-cost, fast, and easy it is to caption your videos. No matter where you intend to post them, you can directly add and upload captions to social media videos, with the help of closed captioning services. So, we’ve created this all-in-one, beginner-friendly guide for how to add captions for videos on Instagram, Facebook, Youtube, or any other social network. Whenever you add captions to any platform, you have the option to upload captions via a text file in an SRT or VTT file format. This is the easiest way to go if you quickly want to add captions in bulk. We recommend that you have an SRT or VTT file ready for any time you plan to add subtitles to your videos. 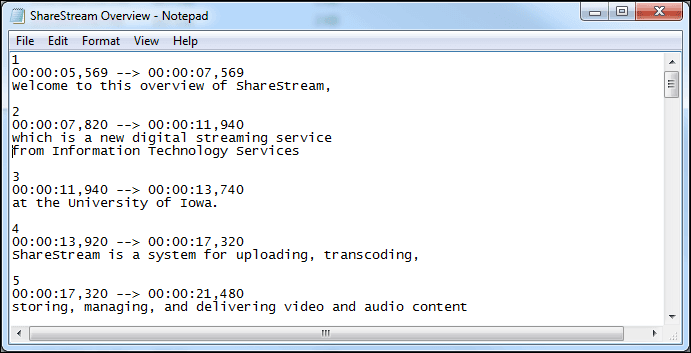 The text file will include a transcript of your video with timestamps, such as the one below from ITS. Creating a text file before adding captions to your video greatly simplifies the entire process. You won’t have to manually type in each caption or correct any errors on the platform itself, which is time-consuming and cumbersome. Plus, you’ll own a text copy of your video, which can be handy. 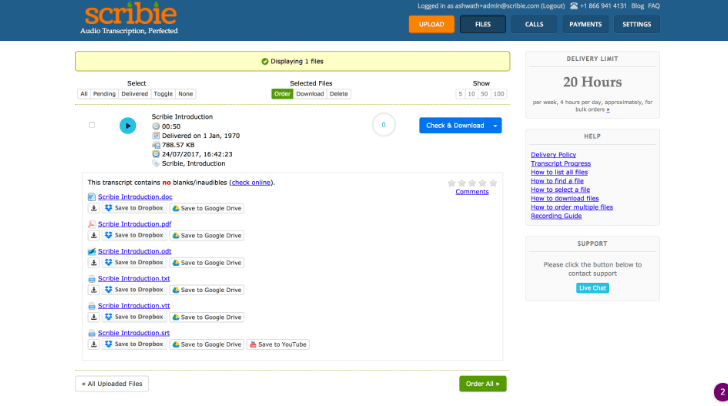 You can order a transcript from closed captioning services, like Scribie, and receive copies in different file formats, including SRT and VTT files for uploading captions. Import your video file or link. Pay as little as $0.10 per audio minute. Download your captions in different file formats. Once you have your text file, you can upload it to a wide range of social and video editing platforms to automatically add captions to videos. Order your captions from Scribie today! Get text copies of your video in various file formats. 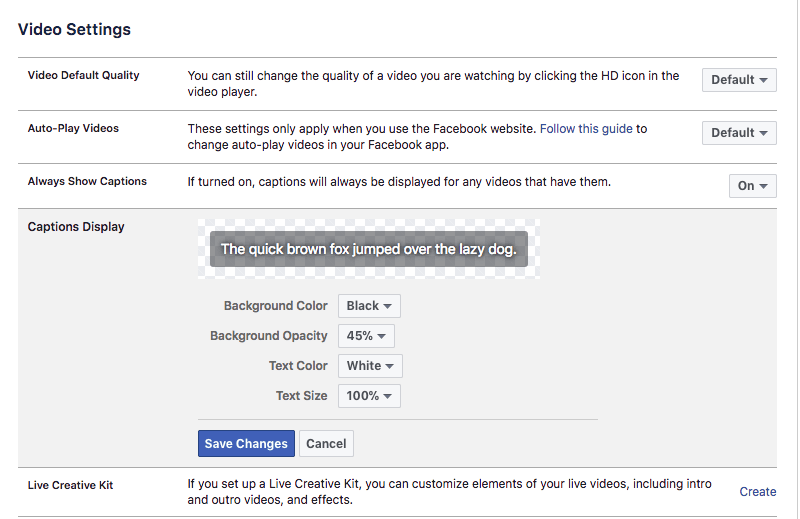 To add captions to Facebook videos, you’ll first need to enable captions to show up in your video settings. Check your settings by going to the “Video Settings” section. From there, you can customize your Captions Display, including text size, background color, etc. When you upload your video, you will see different options for optimizing your post. 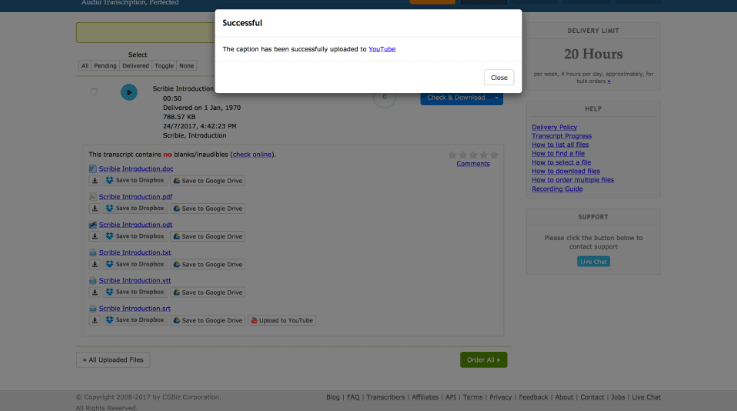 Select the “Captions” tab, and you can upload your SRT file there as you’ll see in the image below. 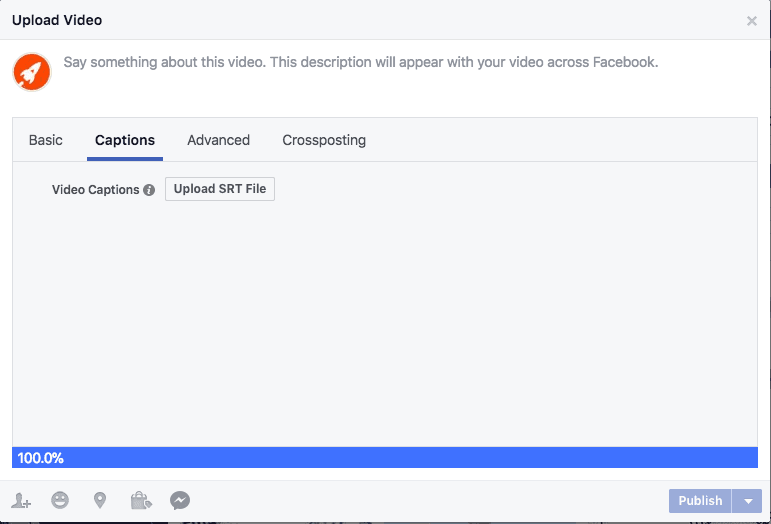 You can also add captions to a Facebook video that’s already posted. The process for this is very similar to when you upload the video. On your already published post, there is a bar for the “edit video” setting. Once you access this setting, go to the “captions” section to “upload SRT file”. Then, select your .srt file, and hit upload. Adding captions to Instagram is a bit more complicated. Unlike Facebook or YouTube which have built-in editors, you won’t be able to upload captions directly from Instagram’s platform. You’ll need to use another software to “burn” your captions into the video first, aka a technique called “open captioning”. First, create your text copy using Scribie to easily upload captions. Copy/paste or upload your text file captions into a video editing tool. Download and publish to Instagram. You can easily upload your file to add subtitles through a free online video editing tool like Kapwing. You can also edit videos online through Rocketium, or Reevio. You may use multi-purpose desktop apps, such as Adobe Premiere Pro, Windows Movie Make, iMovie, or Final Cut Pro X. There is a way you can effortlessly create accurate, high-quality captions and add them to Youtube–all from one platform. Scribie has a feature that integrates YouTube with the platform. Here’s how you can import your YouTube videos and directly upload your .srt files to your YouTube video from Scribie.com. 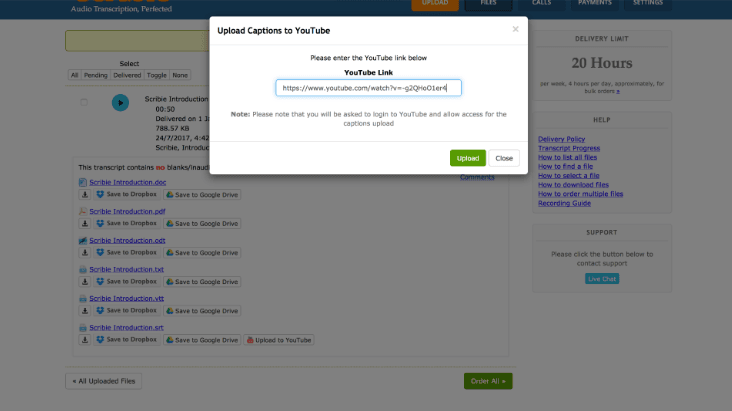 First, you can enter the YouTube link or import a video file. Once the transcribed files are ready for download, click on the “Save to YouTube” button next to the .srt file. A pop up will ask you to enter the YouTube URL of the video. Hit “Upload”…and Voila! Your captions have now been directly added to your video. Captions help promote your social video, repurpose content, and increase SEO ranking and accessibility to a wider community. You don’t have to DIY the transcription of your video and painstakingly manually edit to add captions. Focus on other tasks that boost your channel, instead. Delegate this task by ordering transcripts from closed captioning services that simplify the process. Get your video captions and upload them to socials from Scribie. Order a transcript today! You continuously invest in your YouTube channel. You produce great content, invest in distribution, work on SEO, and more. How else might you optimize your channel? Through statistics, we’ll explore what your YouTube reach looks like. Get a general sense of key YouTube data points, creator statistics, impact of accessibility, and more. We’ll expound on the results that you’d expect if you religiously add captions to your YouTube videos. Adding captions to a YouTube video provides SEO advantages and increases watch time, as well as boosts engagement and accessibility to a bigger audience. So, the question remains. Why don’t more YouTube creators caption their content? Although Google has never disclosed the total number of videos hosted on the global network, we know that it’s changed the way we find, consume, and share information. Youtube attracts a major chunk of internet users. (Up to ⅓ of internet users go on YouTube.) After all, YouTube is the 2nd largest search engine. The platform has more than 1.9 billion logged in monthly users. YouTube has over 1 billion unique users each month. The network served more than 2 billion views per day (May 2010). A total of 5 billion YouTube videos are watched per day. More than 6 billion hours of video are watched each month. Channels earning six figures yearly on YouTube increase by 50% every year. With over 50% of YouTube views come from mobile devices, you’ve probably also noticed that half of your YouTube views come from a mobile device. Have you optimized your video content for this mobile audience? Currently, there are 50 million creators and over 5 billion videos shared on Youtube. With the astounding number of YouTube creators uploading content, it’s amazing how many of their videos are now being captioned. Every minute, 400 hours of video are uploaded, and a whopping 1 billion videos now include captions. Adding captions is a move towards accessibility, as well as a smart business move. Captions help attract a wider community, increase watch time and shares, and boosts your ranking. See how repurposing content can also boost your channel. It’s time to set a universal standard for accessibility. How many people have visited your channel and left without complaining because of its inaccessibility? There are 466 million people around the world who are deaf or hard-of-hearing. Up to 71% of people with disabilities leave a page immediately if it is not accessible. Only around 360 million people speak English as their first language. 60% of YouTube views are from non-native English speakers. Invest in video captions to reach that sizeable audience. Captions are essential to ensuring that your videos are accessible to the wider public. Although more YouTube creators are placing effort into creating more accessible content, many are still turning a blind eye, too. YouTube captions benefit more than those who need them for accessibility. Of the 7.5 million people in the UK who use closed captions, only 1.5 million were deaf or hard of hearing. This means that viewers use closed captions for reasons other than difficulty hearing. Turning the sound on isn’t always a possibility. Others, prefer to watch without sound. Captions can help capture this audience segment who watch without sound. In fact, 85 percent of social videos are watched with the sound off. Over 1 billion hours of YouTube videos are being watched per day, more than Netflix and Facebook video combined. With 500 million of those YouTube views on mobile devices, more YouTube videos can be enjoyed in various settings. Conveniently generate text to promote and enhance your videos (with Scribie’s native YouTube integration). Get captions for your YouTube video now! Your viewers may be consuming your content while taking a quick break in the office, out commuting in an environment with heavy background noise, or simply at home beside their sleeping baby. People are also watching videos longer. The average viewing Session is 40 minutes, which is up 50% year-over-year. However, 20% of YouTube users will leave a video within the first 10 seconds if it hasn’t hooked them in. How do the statistics of videos with captions compare to video content without subtitles? When it comes to watch time, subtitled videos increase view time by more than 12% and are watched an average 91% to completion. In comparison, videos without subtitles are only watched 66% to completion. When subtitles are included, 80% more people watch videos to completion. In terms of engagement, subtitles also increase social reach and elicit better responses. They boost video shares by 15%. There are also 17% better reactions and 26% more call-to-action click-throughs. Captions increase engagement and engagement ratio is a key ranking factor for YouTube videos. In terms of rankings, subtitles also boost your SEO and position in search results or as a suggested video. Adding captions to my YouTube video added an additional 1,046 words and 393 indexable search terms. Best of all, my target keyword density increased by 68 terms (Green), and my keyword diversity increased by 12 terms (orange). Captions also improve comprehension. Subtitles were regarded as “generally very effective in making programmes understood”. Up to 7 in 10 YouTube viewers use the platform for help with their work, studies, or hobbies. This helps viewers absorb your video content’s message better. Earnings also increase. Adding captions could lead to a 7.32% increase in views. This translates into an increase in earnings of $890.93, from $12.171.29 to $13,062.22. There are plenty of ways you can add captions to your YouTube videos, whether manually or through YouTube’s automatic captions. Take note: YouTube’s automatic (CC) captions do not get indexed, which is another reason why it is critical to add your own. Unfortunately, YouTube’s automatic captions are also often filled with numerous errors. 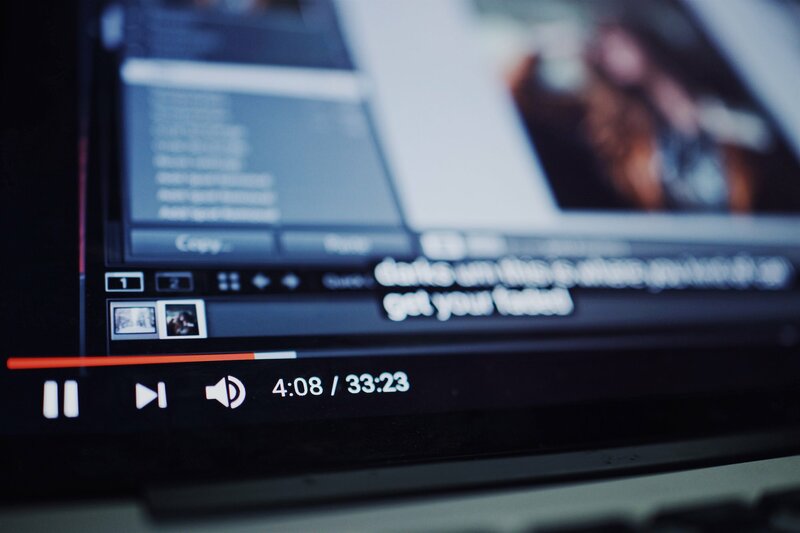 For fast, easy, and accurate captions, Scribie offers transcription services with integrated features that directly upload your captions to YouTube. Boost your YouTube channel through captions and transcripts. Import your YouTube video now to add captions. You may be searching Google for affordable transcription services, and you’ve found it. We’ve researched and compared the prices of leading transcription service providers (so you won’t have to), and…we’re thrilled to share that our new prices are the best offer! 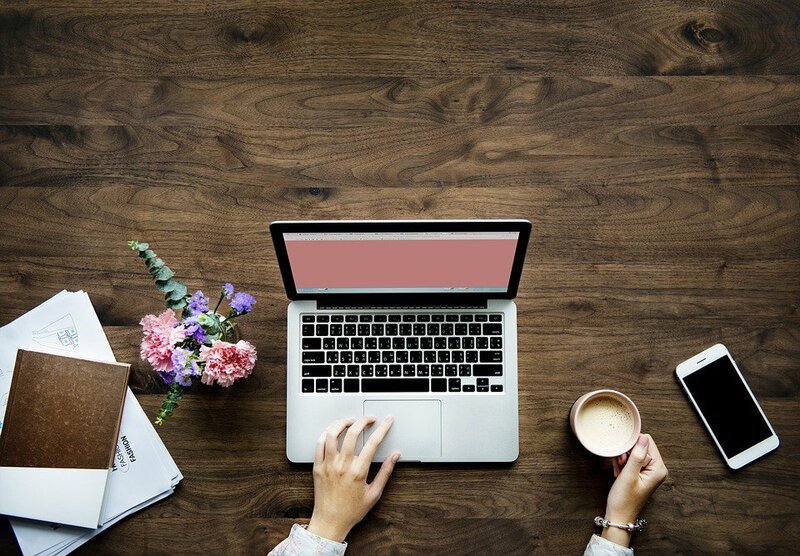 Whether it’s a professional manual transcript or a quick automatic transcript, Scribie offers more for less with the simplest and lowest rates for transcription services. Another awesome bonus when you order: You’ll only need to pick between two price packages: Automated or Manual. As you shop around for the best-priced transcription, you’ve probably encountered confusing and frustrating pricing, lacking features, or slow turnaround times. Many services aren’t upfront about pricing or accuracy level. You’ll need to take the extra step of submitting your transcript for a “free quote”. Disappointingly, some will provide rock-bottom prices without any of the important, standard features. Figuring out the value for money becomes an ordeal in itself! So much time could have been used more productively, instead of spent on calculating the cost or waiting forever for your finished transcript. You’ll want to ensure that you save both time and money. Keep scrolling for a list of more reasons why Scribie is your best choice for any type of transcription service. Scribie’s New and Improved Pricing! At the Scribie headquarters, we’ve listened to your concerns. We want to offer the simplest and most affordable transcription prices. So, we’ve recently updated our pricing structure to make the order process as simple and straightforward as possible. See our recent announcement. Whenever you order a transcript, you’ll only have to choose between two types: Automated and Manual. What’s more, Scribie’s rates stay the same for any type of file format or industry. Your recording can contain highly technical data and specialized terms without extra charge. We’ve merged our previous Budget/Regular/Rush transcription packages into a single type called Manual for $0.80/minute. Take note: Turn-around time is faster than 36 hours (depending on file length). Expect your order within 12 hours. Short files are often delivered within the hour. 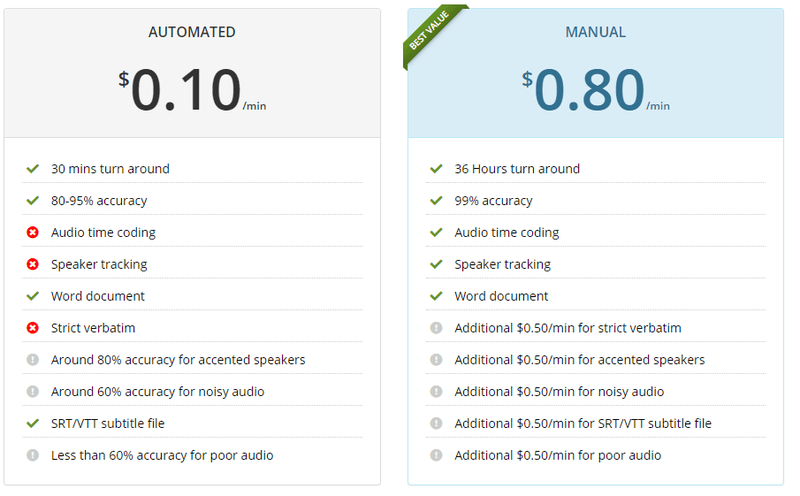 Automated transcripts, on the other hand, go for only $0.10/min. You also can choose to customize Scribie’s Manual package with add-ons for only $0.50/minute, including strict verbatim, accented speakers, noisy audio, subtitles, or if your audio quality is poor. Plus, You can order a re-review, if you are not happy with the transcript, for FREE. Ready to order an Automated or Manual transcript? Use the Scribie cost calculator to calculate your total cost with the lowest rates. If you compare Scribie to other transcription companies, you’ll see why we’re your best choice. Some transcription rates may be similar, but our packages offer more for the price. Whether your recording contains difficult, technical terms or specialized content, you’ll still be charged the same rate. Besides simple pricing packages with the lowest transcription rates around, our transcripts are among the most accurate and thorough using our signature Four-Step Process. Our manual package also includes features like speaker tracking, while other similarly-priced packages by competitors don’t. With the fastest turnaround rates, our manual transcribers can deliver your transcripts as soon as within 1 hour. We’ve designed the pricing packages for both regular and one-time transcription customers. Order transcripts when you need it. Our new pricing structure helps make ordering transcripts when you need it–as soon as you need it–super easy. For example, if you’re a video production company or podcaster who frequently needs text copies of your work, you can grow your business with our predictable and affordable transcription pricing. Your transcript’s quality will be vetted multiple times by different Scribie specialists. When different transcribers work on a single file, your transcript’s turn-around time is faster. This also means that no single transcriber will view the complete contents of your file for confidentiality. Step 1. Files are split into smaller parts. Each part is transcribed by a different transcriber, which is simultaneously reviewed by certified specialists. Step 2. The different file parts are collated, proofread, and checked by in-house proofreaders. Step 3. Our in-house quality experts analyze the proofread file for accuracy. The delivery is done only if it meets our standards of 98%+ accuracy. If not, the file is sent back again for proofreading. Step 4. Certified freelancers and the in-house QA team research on topics, names, and acronyms, while fixing any contextual errors at every step. Got any questions? Our customer support is always available. We know how essential customer support is for questions or custom specifications, such as requesting a certain format. We’re also surprised at how many leading transcription companies offer awful customer support. They’ll usually respond with scripted templates or don’t respond at all. Scribie actually works with you as your transcription partner every step of the way. We can address any of your concerns through live chat or email. We’re available on Live Chat during weekdays and provide email support on weekends. If you’re unsure whether to purchase a Manual or Automated package, keep reading to help you find out. Through more advanced speech recognition software, you can order close-to-perfect automatic transcripts on Scribie. With an automated transcript, you’ll have a fast first draft of your recording, in no time, at a lower rate ($0.10/min). Scribie’s free transcription editor lets you quickly edit your transcripts online. For error-free transcripts, on the other hand, you may order the Manual transcription package ($0.80/min). Brands, enterprises, academics, or legal cases might prefer Manual transcripts for quality assurance. Our new updated and simplified pricing structure means that ordering a transcript is easier than ever. Do you need an Automated or Manual transcript? Use our simple cost calculator for a custom quote. Not all audio or video files are a breeze to transcribe. Occasionally, you’ll encounter recordings that are chock full of highly technical and specialized language. If the recording is filled with acronyms, scientific terms, or university names, you’re probably transcribing content related to academic research. Researchers and academics need transcriptions because it’s an integral process in the analysis of their research data. Transcription simplifies the overall process for interpreting data. It allows them to read and analyze interviews, field notes, and others through text that is accurate, concise and easier to digest. This means that they need their transcript to be highly accurate. When it comes to publishing research results, there is no room for error. However, what should you do if you come across a complicated term you don’t recognize? Many transcribers will consult Google or their online dictionary. We’ve compiled a few research hacks to help make academic transcription more effective for you. If you plan on transcribing academic research, here are a few things you should know. Keep reading to discover skills you’ll need, why research matters, and 4 tips for effective research in finding the correct term and spelling. Wondering which skills are essential in academic research transcription? Whether you’re doing academic, legal transcription, or even just general transcription on a difficult topic, you’ll need two relevant skills. First, you should know your way around online research. Also, transcribers who are fast learners can quickly interpret difficult terms. Transcription and research go hand in hand. When transcribers can’t identify a word, they’ll often hop on Google to check spelling and any results that might fit the context of the recording. However, the transcription of research papers, thesis or dissertations for various academic fields adds an extra level of challenge. You should expect tons of researching (and be more or less masterful at it). Being a fast learner is also a useful skill for understanding the content of your recording. Many transcribers will try to grasp the topic of the research first to identify the context by which a word is used, before finalizing a transcript. The more you know what they’re talking about, the better you can interpret what they’re saying into text. The most common pitfalls for researchers during data collection are equipment failure, environmental hazards, and transcription errors. Research papers need to be accurate and its results hinge on error-free and accurate transcripts. A big issue is figuring out the acronyms or names of an organization or project. Academic papers include a multitude of facts and terminologies that go in-depth into a topic. Naturally, this means that you’ll encounter many obscure or technical references and terms. Oftentimes, the definition will even change according to ideology. This is why research is a key skill for academic transcription. Knowledge of the subject matter may help, but the topics are often very specialized so it’s unlikely that you’ll always be familiar with the subject matter. It’s all about the context. Researching the right keywords help you transcribe within the appropriate context. For example, a single word, like “slit lamp” may seem like gibberish. However, when you hear the speaker say “slit lamp” and “eye” within a recording, you can search those keywords to clarify your understanding of the bigger picture. Then, you’ll find that a “slit lamp” is an instrument used for eye exams. Voila! These context clues can be found in the surrounding content. Check out these four tips to zero in on the right keywords for research. 1. Know the industry type. You don’t always know the content of a recording. If you encounter words you are unfamiliar with or that are unclear in the speech, try and pinpoint the particular industry. You may have to listen further to do this. Once you’ve identified the industry, you might get a better understanding of industry jargon. 2. Consider the research topic. This is similar to knowing the industry type. If you hone in on the topic, the chances are you’ll figure out the term in question. 3. Consider the geographic area. A particular word may be difficult to transcribe because of a speaker’s accent. Knowing the geographic area can help identify words that are heavily accented. You may also be able to identify any slang words that are used. 4. Check the organization’s homepage. Acronyms, organizations, names and their spelling can be problematic. If you can determine the organization involved, check out their website. Most universities will have webpages for faculty and staff. They may also mention the term you’re struggling with. To find the correct word used in the recording, type its phonetic spelling (or spell out how it sounds) and other keywords you find in the search bar. Further refine keywords based on the search results to zero in on the meaning. If you still can’t identify the term, you can leave a blank in the meantime. We’ll inform the client to simply use Scribie’s online editor and fill out any blanks. Check out our other tips for how to write a transcript fast. Taking your research seriously when doing academic transcription is important. First of all, it helps produce accurate and quality transcripts that will make clients happy. You assist in their research process and in publishing their findings sooner. Besides ensuring that your transcript is top-notch and error-free, you’ll experience personal benefits, too. Regular research is a great opportunity to increase your knowledge, which results in quicker work, increased productivity, and…yes, more money! Scribie has online transcription jobs for both beginners and experienced transcribers. Learn more about how you can join Scribie as a freelancer. So, you’re supposed to transcribe an audio or video file. Your work may need you to do a steady stream of transcriptions, or you’ve never transcribed a word in your life. Best practices and guidelines ensure that transcripts adhere to industry standards. How do you keep your transcripts high quality with minimal effort? It helps to establish a process for things to stay organized and smooth. If you happen to be a seasoned transcriber, there may be transcription tips and tricks that you haven’t considered before. Can you improve your current transcription process? 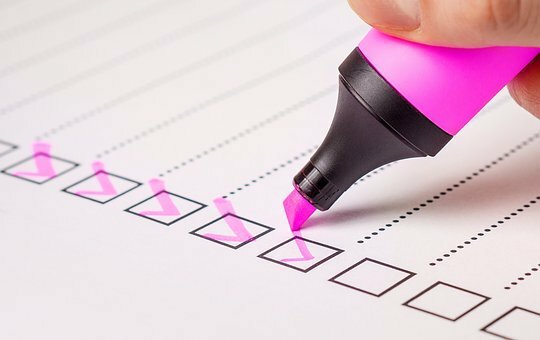 We’ve created this checklist covering all the essential bases to optimize the transcription process, from start to finish. Check out the necessary steps to get you on your way to completing that transcription task efficiently. Make sure you’ve prepared all the necessary tools and equipment before you begin to transcribe. A comfortable or ergonomic chair creates a huge difference in keeping your body relaxed during hours of transcription work. It supports your lower back, promotes good posture, and ensures proper blood circulation. Adjust the seat to your preferred position. Use good quality, noise-canceling headphones. Over-ear headsets are the most comfortable as they encase your entire ear and isolate distracting noise. Human voice frequencies lie between 250 Hz and 2000 Hz, the midrange of sound. We recommend headphones that have a pronounced yet smooth midrange. Keep your essential every day carry items close. Eyeglasses, a bottle of water, a cup of coffee, or mobile phone should have already been placed on your desk to reduce distractions while doing transcription work. 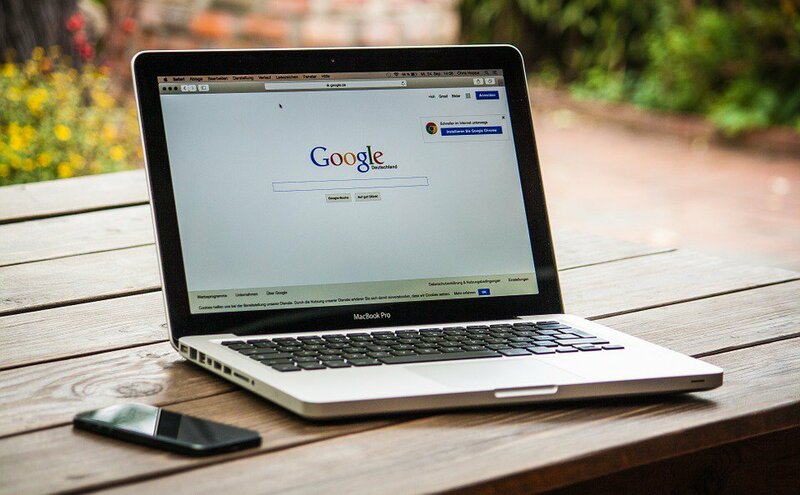 An online reference such as soft copies of a dictionary or Google helps you quickly search for unfamiliar terms and the context to its meaning. A foot pedal lets you control dictation playback with your toes. You can play, rewind, and fast forward by tapping sections of the pedal with your foot. You can setup your foot pedal to work with Scribie’s transcription software. There are web-based transcription tools that let you upload and transcribe your entire recordings online. These are your best friends in getting transcripts done–fast. Scribie’s all-in-one transcription software has built-in tools and shortcuts to make everything easier from start to finish. You can even automatically transcribe your file to cut down time spent on transcription. Check and edit the transcript. Not all recordings are made equal. If you have a difficult file with plenty of background noise, there are ways you can increase its audio quality. Scribie has a built-in dynamic range compressor that automatically increases the audio quality of your file for transcription. It reduces the volume of unnecessary loud sounds and amplifies sections that are difficult to hear. As we’ve been mastering transcription for about a decade, we continuously optimize tools like these. Make the most out of your transcription software. Buckle up for your transcription journey by getting to know your tools. Scribie has a timestamped audio player and fully-featured integrated text editor–everything you need for transcription. There are built-in tools, keyboard shortcuts, and a control panel that you can customize to fit your work process. The word expander saves time by predicting and expanding the word you’re typing. Frequently used words allow an overview of what words to expect in your recording. This saves you from guessing a vague term. Spellcheck provides you with suggestions to autocorrect any potential spelling mistakes. Slow down or speed up audio to catch every word. Use keyboard shortcuts to pause, skip, forward, or rewind to a certain time in the recording. Identify mistakes with a blue underline through Scribie’s AI tool. For recordings with heavy accents, you can dictate and transcribe the file using our voice recognition software. If you happen to have little idea of your recording’s content, you have the option to automatically transcribe your file. This gives you a nice overview of what to expect and speeds up transcription. Here’s a pro tip: Many transcribers put speech to text by matching the transcript and audio word-for-word. We actually recommend against that. Instead, listen to the entire conversation and use context to interpret and identify the correct words. During transcription, you may come across unfamiliar content such as technical or medical terms. Do a Google search for context or install soft copies of an online dictionary for a quick definition. Don’t get hung up on a difficult word, though. There may be certain terms or words that are difficult to catch where you end up pausing and rewinding multiple times. Skip them. Leave a blank in the meantime and get back to those words you missed later to avoid breaking your flow. Avoid context switching and juggling different tasks at the same time. Alternating between transcribing and editing becomes tiresome. Instead, do one thing at a time. Begin the task by putting on your transcription hat and focusing on the transcription task ahead. The first draft doesn’t have to be perfect. Once you’ve completely transcribed the entire recording, whether manually or automatically, you can pivot your attention to editing and refining the transcript. Use Scribie’s spellcheck and AI tool to identify any misspellings or mistakes that may have slipped through. Transcription work can be rewarding for those with an eye for detail and quality content. Breaking the transcription process down into step-by-step increments makes long hours seem easy and do-able. While a great transcription software saves time and effort. We’re always on the lookout for opportunities to make transcription as easy as possible for our transcribers. Scribie offers online transcription jobs for beginners and seasoned professionals. Learn more about how you can join Scribie as a freelancer.